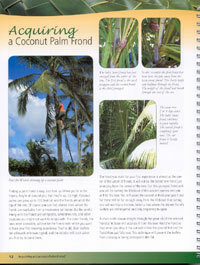 How to Weave Hawaiian Coconut Palm Fronds - A Step-by-Step Guide - by Jim Widess. A beautifully laid out book with hundreds of large, detailed, color photographs and clear, written instructions for 11 different projects. 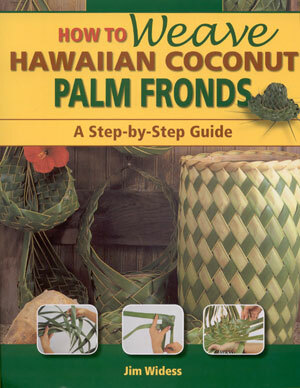 You'll learn the secrets for palm frond weaving including the preparation of palm fronds and the importance of "racking" the frond. All critical steps are shown. Nothing is left out. 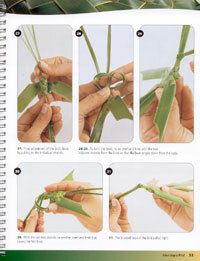 Gorgeous photographs, clear instructions, elegant design. 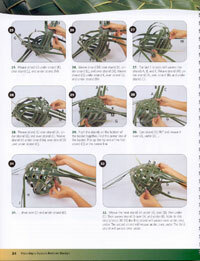 Weaving strands are clearly labeled so you can keep track of each step. 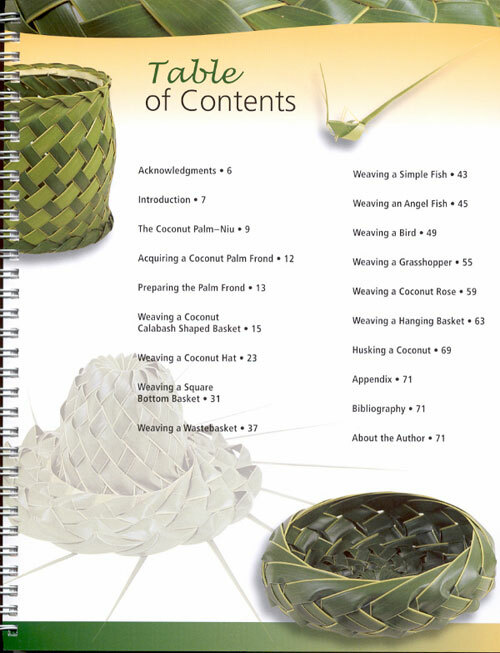 Informative text that teaches you about the history of coconut palms and the preparation and weaving of palm fronds. 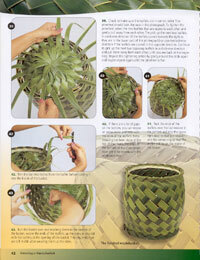 Learn how to weave baskets not illustrated in other publications.